Although the literature is copious with studies using qualitative methodology to retrospectively explore issues related to child sexual abuse (CSA) from the adult’s perspective, there is a dearth of qualitative literature regarding the child’s perception of sexual abuse. The purpose of this qualitative interpretive meta-synthesis (QIMS) is to inform practice and research to understand how children make sense of sexual abuse, the factors that influence their disclosure experiences, and coping methods used after disclosure. The QIMS included studies from various disciplines, including psychology, sociology, social work and medicine, to understand the experiences of childhood victims of sexual abuse. Three themes and five subthemes emerged: (1) phases of CSA: (a) initial onset of symptoms, (b) maladaptive coping, and (c) paralyzing fear; (2) types of disclosure: (a) healthy disclosure and healing and (b) destructive disclosure, and; (3) traumatizing “helping” process for CSA victims. 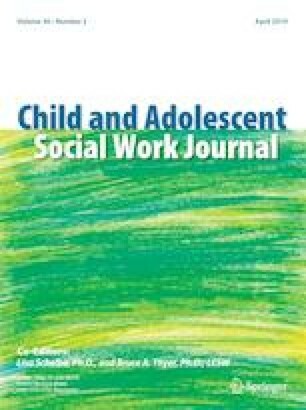 In an effort to reduce negative outcomes associated with CSA, it is imperative to explore one’s perception of sexual abuse while still a child to inform prevention and intervention efforts of their specific understanding of the experience. Author A declares that she has no conflict of interest. Author B declares that she has no conflict of interest. Author C declares that she has no conflict of interest. Author D declares that she has no conflict of interest. Douglas, E., & Finkelhor, D. (2011) Childhood sexual abuse fact sheet. Retrieved from http://www.unh.edu/ccrc/factsheet/pdf/CSA-FS20.pdf. Van Manen, M. (2011). The methodological reduction: Approach. Retrieved from http://www.phenomenologyonline.com/inquiry/methodology/reductio/methodological-reduction/.